His body language is kind of arrogant. Could it be that it is in deception purposes? It seems to me though that a deception artist should have a body language like James Bond and definitely not like Cal Lightman in the show? The last 3 minutes of S2E3 demonstrate my question for instance, although he walks like that all the time. 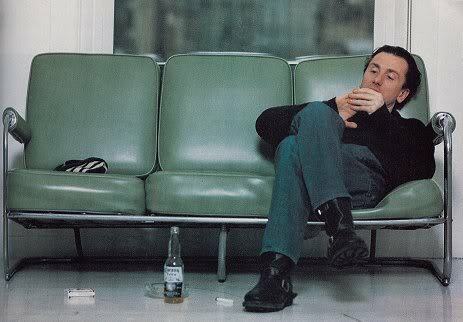 Tim Roth is a bit of a sloucher. There might be a medical reason to this (his bow legs, for instance), but either way, this is evident in some of his other roles and public appearances. See, for example, this scene from the film Arbitrage where he plays a detective who is trying to take a suspect down. Roth is also somewhat of a physical actor; Rather than being understated, his characters often display a very expressive body language and quirky mannerisms, so it could simply be a choice. "And there is Lightman's physical gestures and gait. It came out of humour, but I think I went too far with it, so I'm pulling it back a bit," he smiles. "Lightman likes to provoke people. That's who he is. He behaves in a way that he thinks will disrupt the person he's investigating and then he focuses in on them. But I think I went too far in being overly physical which in fact, my wife pointed out to me. So you'll notice in future episodes, I'll be doing less of a funny walk." Not the answer you're looking for? Browse other questions tagged character lie-to-me . Why does the father lose his mind? Is there a trend in recent crime shows to complement eccentric protagonists with grown-up and intelligent daughters? Why? Why did Weevil go back to his previous life? Why does Loki's superior damage his investigation? How can Professor X walk and use his powers? Why does he keep his gun backwards? Is Captain America back with Iron Man and the Avengers? Why does Masters torch his paintings? Why does Phineas and Ferb's dad never react when his sons making inventions in front of his eyes?